The Millennium Tower Homeowners Association issued a strongly worded statement to residents Tuesday that blames a “problem owner” whose “shifting demands” led to delays and the recent fire safety violation notice against the troubled tower. 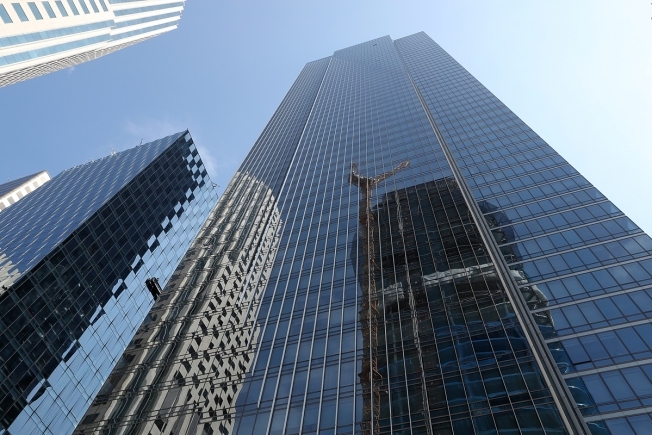 “As many of you may have heard, the city issued a Notice of Violation against our building,” the Millennium Tower governing board said in its statement. That statement was delivered to more than 400 owners of condos in the 58-story luxury high-rise, which has sunk some 17 inches and is now tilting. The citation mentions an apparent a fire safety threat – one that would allow flames and smoke to shoot through gaps between the façade and the tilting tower. Much of the homeowner’s ire appears to be directed at an unnamed owner. That owner, Paula Pretlow, has long complained about odors permeating her condo on the 31st floor. Back in December 2016, an outside consultant brought in by the association to do tests in Pretlow’s unit, pinpointed the apparent source of those mystery odors – gaps between the tower and its curtain wall façade. Those gaps, the expert warned, posed an immediate fire safety threat to the occupants. But the finding by the Allana, Buick and Bers firm was kept secret for a year. Just last month, after NBC Bay Area exposed the warning, the city Department of Building Inspection issued the violation notice and set a Jan. 15 deadline for the building to assess the issue. But Pretlow’s recalcitrance was a major obstacle, the board said. Pretlow declined to comment on the statement Tuesday. However, in earlier statements to NBC Bay Area, she said delays were due to the association refusing to agree to move her and her belongings out of harm’s way during their testing and repair effort. More recently, she said, the promised testing and repair project was again put on hold because the association failed to secure required permits. Pretlow had said she repeatedly allowed both private and city inspectors into her unit to do preliminary testing, repairs and inspections. In August, city inspectors met with her, but they left without issuing a citation. In fact, Pretlow allowed several authorities to inspect of her leaking windows just this week. As many of you may have heard, the City issued a Notice of Violation against our building. There has been a transfer of odors in a handful of units that leads some to believe there is a gap in the curtain wall that could be a fire hazard. We have been working with the City, experts, and contractors since the middle of last year to gain access to one of the units to investigate and repair the problem. We put the unit at the head of the line because the owner voiced the most concerns. At this point, we don’t know if it is an isolated problem, a construction defect, or a problem related to the settling of the building. We need to determine the source of the odors and whether this is a widespread problem. The Association has been diligent in scheduling the work but has been frustrated by the owner’s shifting demands and repeated denial of access to the unit. Scheduling itself has been difficult because the owner takes weeks to respond to requests for dates and then pushes the work months down the road. The owner has not only dragged out the scheduling but has twice withdrawn permission to enter the unit on the eve of the scheduled repairs. To further complicate matters, the owner made it so difficult for our contractor that he will no longer deal with the owner or go into the unit. The City has also been frustrated with the delays and had no choice but to issue a Notice of Violation. To expedite our investigation, we finally turned to other units. The owners of these units have been gracious and cooperative in giving us access. Once we investigate the problem in their units and find a solution, we will communicate that to the membership. As for our problem owner, if the owner continues to be uncooperative in allowing access to the unit, we will explore other options.